You are a stumbling block, King of Babylon! Hear My words. You have not come before Me. You do not honor Me. You have not learned the lessons of the past. A house divided cannot stand. My house will not be divided by you. My land will not be divided by you. I will divide your nation and your house. I will divide your people. My anger is kindled against you, proud and arrogant. My breath is fire. My hands hold lightning. My feet break the earth into pieces with each step as I approach. The warning about dividing the land of Israel and the city of Jerusalem is referring to President Trump’s Middle East Peace Plan, which has not yet been officially announced, but has already been shared with Israeli and Palestinian leaders, all confirming the plan calls for dividing Jerusalem and requiring Israel to evacuate sections of east Jerusalem and hand it over to the Palestinians, so they can establish their new capital of their new state of Palestine. President Trump appears to have been setting the stage for this disastrous move by first giving something to Israel, moving the U.S. Embassy from Tel Aviv to Jerusalem. In recent speeches, he has hinted that it is now Israel’s turn to give up something. The immediate consequences of ignoring Zechariah’s warning have been well documented. For example, in 2005 when U.S. President George W. Bush forced Israel to evacuate Gaza. Within 24 hours after the Jewish people were forced to evacuate, in some cases dragged from their homes by weeping Israeli soldiers, many thousands of American citizens were forced to evacuate their homes due to severe flooding caused by Hurricane Katrina. However, that was Gaza. This is Jerusalem, which is exponentially more significant in God’s plans for these last days. He will shake our land with earthquakes and cause parts of it to sink. Chaos and war will come if we refuse to repent. I hope and pray God will humble President Trump to prevent him from following through with this arrogant evil plan, but if he proceeds anyway, I hope and pray God’s people will align themselves with God rather than blindly following President Trump. 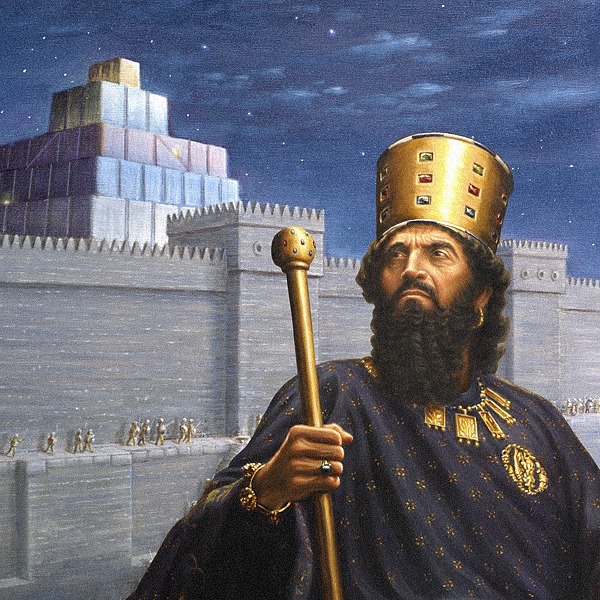 She refers to President Trump as the King of Babylon and warns, “this king will seal your destruction.” I find this interesting because some have claimed President Trump is like King Cyrus, the first king of Persia, who conquered Babylon and ruled over it. So if Sister Barbara heard correctly, President Trump truly would be like King Cyrus because both ruled over Babylon and both sealed its’ destruction. God is faithful to protect and provide for His righteous remnant, so those who stay close to the Lord and walk uprightly before Him have nothing to fear. It appears from what some people are saying that Trump will divide Jerusalem, be a part in building the Temple, and also put Christians in camps. Other people are saying to pray for Trump’s safety. It seems more likely that if Trump did divide Jerusalem, then something terrible might happen to him, and not in reverse order. So praying that Trump does not divide Jerusalem takes priority now. Another issue is that the quoted revelation does not say that Trump is the appointed king, but that Sister Barbara says (interprets) that Trump is the appointed king. There is some room to interpret that this king is someone else, since Trump was not technically appointed, but elected. In this case, praying for Trumps safety takes priority. Since there is doubt as to which scenario is correct, then it would be logical to pray for Trump’s safety AND for him not to divide Jerusalem. Since this warning is for the one who has made plans to divide Jerusalem and since President Trump has made plans to divide Jerusalem and since no one else is in a position to do that, the interpretation seems clear to me. I posted a vision I had on here many months ago that confirms this. I saw a huge mountain, then it split into three small hills. I asked , when does this happen? Immediately, I saw Trump sitting at a small desk signing papers. I felt sure that the U.S. was the mountain and the papers were about Israel. From my vision, I didn’t know if the division would be physical, civil war or something else. Thanks for sharing this confirmation Barbara. God has given hint. Jerusalem. God had me put out the warning that the Art of the Deal was already made between God and Abraham; this is not Manhattan, leave God’s land for God’s people alone. He also showed me when younger Bush was President that He would indeed split this country apart with an earthquake as His witness. He had me study the 4 peace conferences (they all mean something), Wye River, Oslo, Annapolis and, yes, Madrid-which is the same name for the fault line of America’s most powerful earthquake-just pronounced differently. Pray that the fear of God would be sent to the President to not do this-it will mean our end. There is of course 2 Chronicles 7:14, but there is also Job 7:14-“Then thou scarest me with dreams, and terrifiest me through visions: Please pray that God in his mercy would send these to the President out of compassion for America. Hi everybody. What is the date or approximate time frame of the Middle East Peace Plan? That 4 month window from September is a possible confirmation of a date in December. December 21st is 70 years, 7 months and 7 days following the formation of the State of Israel. A similar pattern occured when Israel regained Jerusalem and the Temple mount exactly 49 days, 7 months and 7 days after the decision to write the Balfour letter. The pattern showed up again when Trump recognized Jerusalem as the capitol of Israel 70 years and 7 days after the UN mandate for the formation of Israel. It seems Trump will be involved if something historic happens on December 21st. Remember that Trump was inaugurated on the day that he turned 70 years 7 months and 7 days old. He was also born 700 days before the formation of Israel. Trump’s peace plan seems to be the likely event to occur at that time, but there may also be a war in Israel before that forces the release of the peace plan, or the plan itself may be the trigger for a war. James pointed out that there were severe consequences for enforcing the evacuation of Gaza, but that Jerusalem fate is exponentially more significant. That principle seems to be confirmed in the recent history of Japan. When Japan’s Ministry of Foreign affairs issues a rebuke against Israel and it’s housing developments it often coincides with natural disasters such as floods and typhoons. In February of 2011 however Japan issued a statement that indicated it did not recognize Israel’s claim over East Jerusalem. One month later Japan was devastated by the 2011 earthquake and tsunami. Israel is having a meeting with the United Nations Security Council Wednesday. The meeting was called to show what Israel has discovered about the terror tunnels that Hezbollah has dug from Lebanon into Israel. Many think that Israel is ready to destroy missile sites in Lebanon, but wants to win the global PR battle by showing that Hezbollah has already committed an act of war by digging the tunnels. Israel has been making reconnaissance flights over Lebanon in the last week. It may be that Israel will make its case for war against Hezbollah on Wednesday and follow up with action on Thursday or Friday. Friday would be the 70 year 7 month and 7 day anniversary of the formation of Israel so the timing of the UN security council meeting fits if it is a prelude to war. Pray for the peace of Jerusalem! Thanks for the update Christian. James, I am making my comment on the wrong topic. About your previous market revelation of ” Red, Red, GREEN, Red, Red”, do you think that it is possible that might also represent WEEKS, instead of days? Amen! We must always pray for peace in Jerusalem, especially now when it seems almost the whole world is turning anti-Semitic. Israelis seem to be the most misunderstood people on the planet, even when they are only defending themselves from aggression. They don’t want war. All they really want is peace, which is why they gave away the Gaza to the Palestinians in 2005 to begin with. Good post, Christian. Thank you for sharing. Thanks SAC! – Steve Moxham noted that Trump was elected on the day that Netanyahu had been in office for 7 years 7 months and 7 days. One more confirmation that these dates have significance. It may be that nothing happens on Friday, but it would fit the pattern. Recently, Ann Graham Lotz has written about her cancer diagnosis. She has felt that her life has a special connection to Israel as she was born one week (7 days) to the day of the formation of the modern state of Israel. Ann Graham Lotz points out that there were old Testament prophets whose life symbolized the condition of Israel. Ann pondered if her recent life threatening cancer in her 70th year points to a serious war in Israel’s 70th year. Her fears are that just as her treatment and recovery are drawn out, Israel’s war may be long and drawn out, rather than a short war as in 1967. Something is up. President Trump just declared full victory over ISIS and is ordering full troop withdrawal from Syria. All U.S. State Department personnel are being evacuated from Syria within 24 hours. That would mean they will have finished evacuations the day before the 21st. I had missed something earlier. The December 21st date mentioned above will be the 700th day of Trump’s presidency. Remember that not only was Trump inaugurated when he was 70 years 7 months and 7 days old, but he was also born exactly 700 days before the formation of the State of Israel. Watch for Trump to possibly be involved with a historic event in relation to Israel on that date. Those are some interesting dates. Thanks for sharing Christian. The division of Jerusalem will be a pivotal date in world history. I expect our Australian government won’t provide much opposition to this occurring sadly. A awaiting tragedy for the USA if it occurs. Pray , pray for Australian government to say no or to vote no. Thanks for sharing that Joel. Sounds like his plan all along was to postpone the announcement until after the midterms, perhaps due to concerns it could alienate many of his supporters. Let our request be known, and let God do the rest. Earlier this evening I was reading Jeremiah chapter 30 – 37 and pondering all I read. Two hours later , I was prompt to come here, I heard you need to read it’s true or it’s going to happen, well I open it up and read the headline, not sure yet what all it means. I trust the Lord with it. A perplexing problem that seems ominous if the dividing of Jerusalem happens under President Trump. Maybe there is more that meets the eye. Trump and his supporters are most hated by the Democratic Left and if Trump were to succeed at dividing Jerusalem and the destruction of America were to take place we (Christians) would be blamed and most hated and killed even tho Obama and his minions would be celebrating the divide and forcibly taking over power. It would be a dream come true for Hussein Obama.